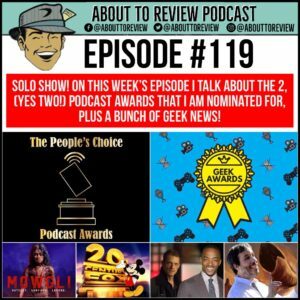 ATR #119 – Podcast Awards! Plus geek news! This week’s episode is a solo show where I try not to crazy while in the studio by myself! The reason this episode is dropping early is because this podcast is nominated for an international podcast award and the voting closes on Tuesday, July 31st! 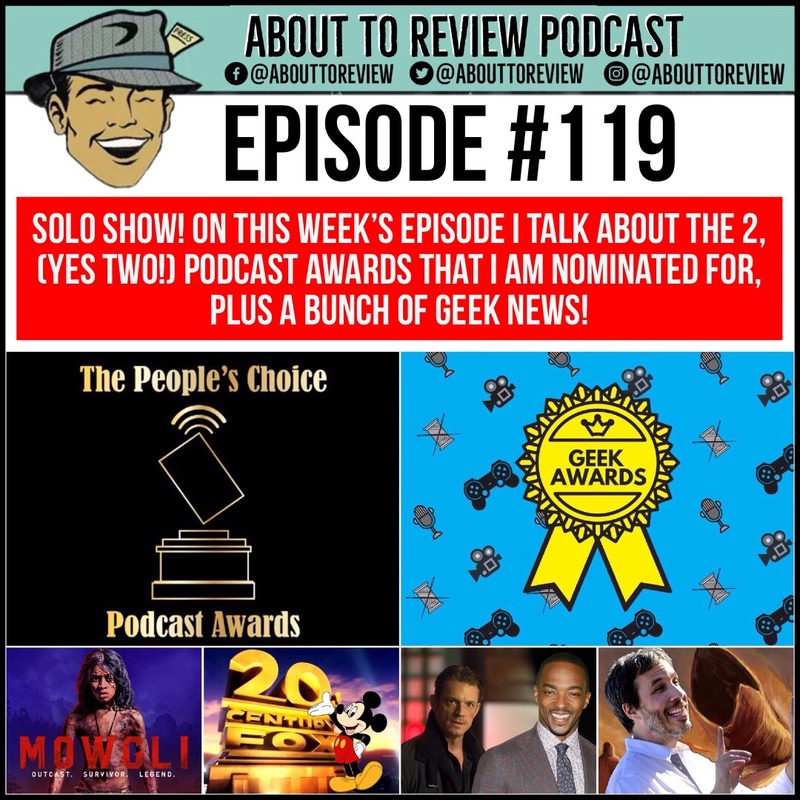 Not only do I talk about the two different podcast awards that this podcast is nominated for, but I also break down some of the geeks news of the week and give you my take on it. Thank you so much for all of your support and I cannot wait to see the results of the awards! Now, back to the important issue of the awards! For the local award hosted by Renton City Comic Con, click this link -> Renton City Comic Con Geek Awards. 48 Hour Film Project best of screening on Monday, August 6th! Click here for the event page on Facebook. Thank you for listening and for all of your support!